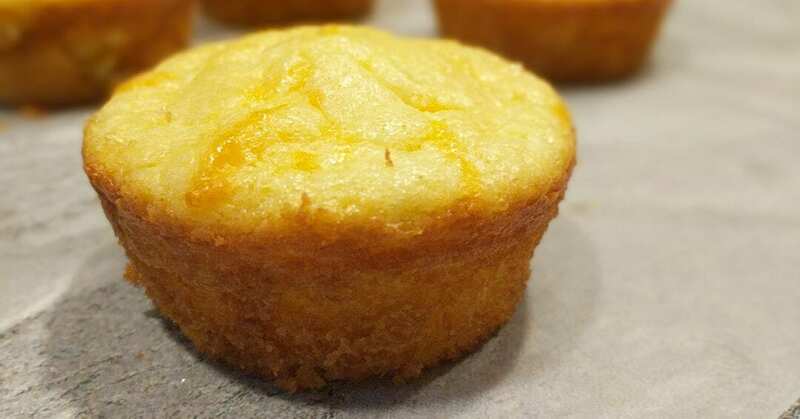 When I started the Keto diet, I thought that a low carb cornbread was just impossible. It is, after all, made from corn. I knew that with a little experimenting and imagination, I could make a substitute that would satisy the whole family! Notice that at the end of the recipe, there are some optional ingredients to make this low carb cornbread more authentic tasting. The sweet corn extract is fairly pricey, but it is an investment that should last you a little while if you’re interested in a richer, corn taste. Some recipes call for experimenting with sweet corn or popcorn extract. A decent substitute for the extract, of course, is actual sweet corn. This will add some carbs to your total, but they can be spread out over the entire batch. If you notice that your corn muffins aren’t as traditionally yellow as they could be, try using a great grass-fed butter, such as Kerrygold. The butter has a deeper yellow hue, better nutrition and an out-of-this-world taste! For some additional flavor, jalapenos bring a nice heat. Pepperjack cheese can also be substituted for the cheddar for a bit of a kick! Yum. Do yourself a favor and make a batch of these muffins a couple days before Thanksgiving. You can dice them up and make a delectable Keto-friendly stuffing (or dressing depending on where you’re from)! 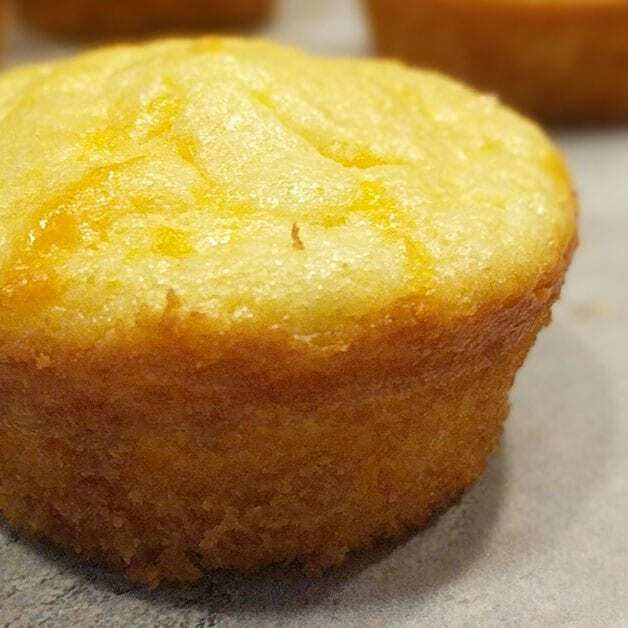 If savory muffins aren’t your thing, this recipe works as a great base for a Keto cake or bread! Equally, my Zesty Cheddar Biscuits are just as delicious! Experiment and let us know in the comments what you came up with! In a bowl, combine almond flour, whey protein, baking powder, sweetener and powdered mustard. In a separate bowl, combine eggs, sour cream and broth. Combine both bowls and stir until incorporated. Stir in cheddar cheese and corn. In a lined cupcake tin, spoon mixture halfway up from the bottom. 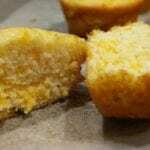 Recipe should make 8-10 corn bread muffins. Pop into preheated oven for 14-17 minutes. When edges are golden brown and tops have a nice bounce to them, they're ready! I am looking for more recipes without any DAIRY products….we are dairy free…thanks. Here’s a post I put together with some of my favorites!